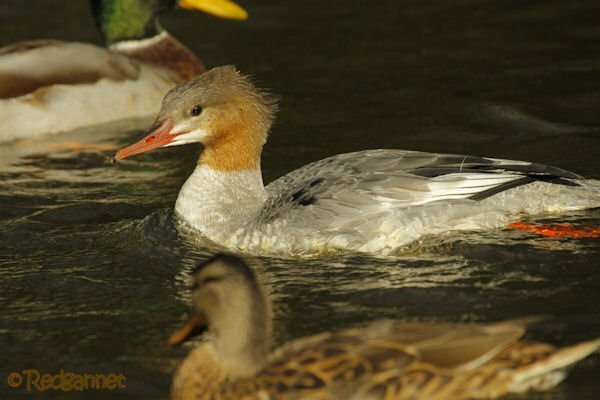 Most of you will be more comfortable with the name Common Merganser, but the Brits still like to use Goosander. 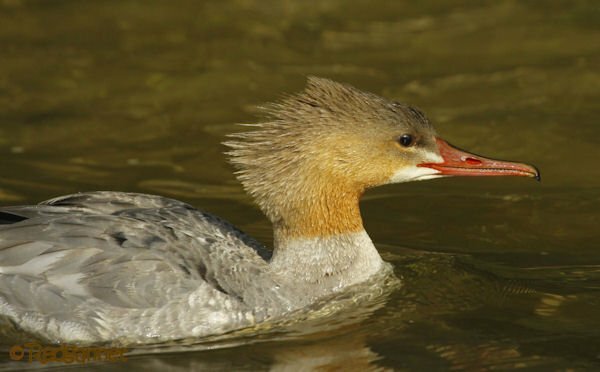 Whichever one you prefer, the Latin name (odd waterbird, odd waterbird, a bit like a goose) is still Mergus merganser. The European version takes the nominate while the North American race takes M m americanus. It has become more common in the UK over recent years, but in my experience are usually seen at quite a distance. This immature bird was seen on a small river that flows through a picturesque village in the Peak District National Park, in Derbyshire. It had learned that people feed bread to the ducks and small fish gather beneath the ducks to mop up any crumbs that are missed. Thus it was very approachable. It spent much of its time in the shadow of the bridge, but came out into the glorious autumnal sunshine for occasional forays. 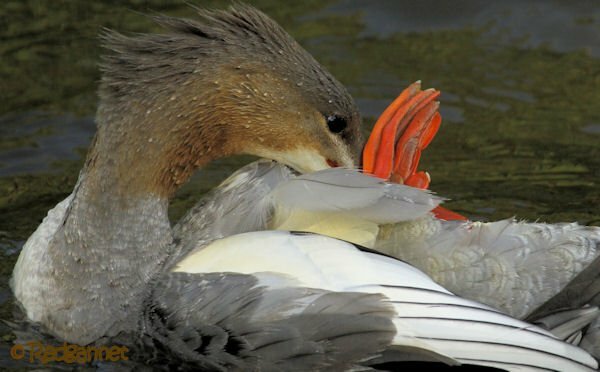 It is a member of the sawbill family of ducks which contains the mergansers and the “teeth” of the serrated bill assist in gripping prey which consists predominantly of fish. The Hooded Merganser is often referred to as Mergus, but it more correctly belongs in the single species Lophotes genus. The Smew also takes up all the space in its own Mergellus genus. I think most people will take the convenient path and use the colloquial term “sawbills” to encompass them all. 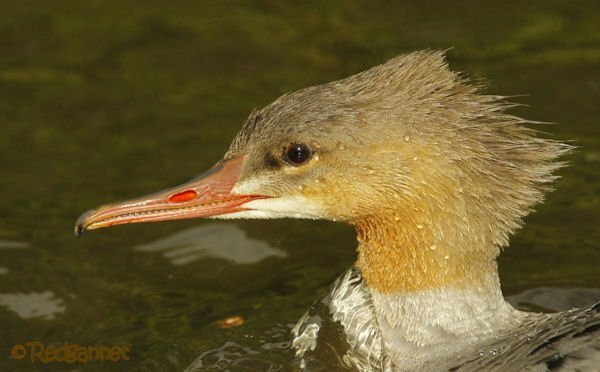 Goosanders are seen on both fresh and salt water, but require open water to feed. Thus they tend towards the coast and larger rivers during icy spells. Where Are You Birding This Second Weekend of October 2009?